CHAMBER MEMBERS: Please join us for a networking lunch! 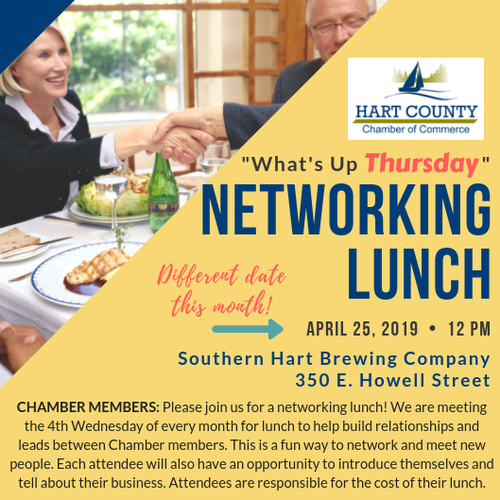 We are meeting the 4th Wednesday **this month on THURSDAY** of every month for lunch to help build relationships and leads between Chamber members. This is a fun way to network and meet new people. Each attendee will also have an opportunity to introduce themselves and tell about their business. Attendees are responsible for the cost of their lunch. Lunch will be available to purchase by the individual. Please register to help us get an accurate head count.